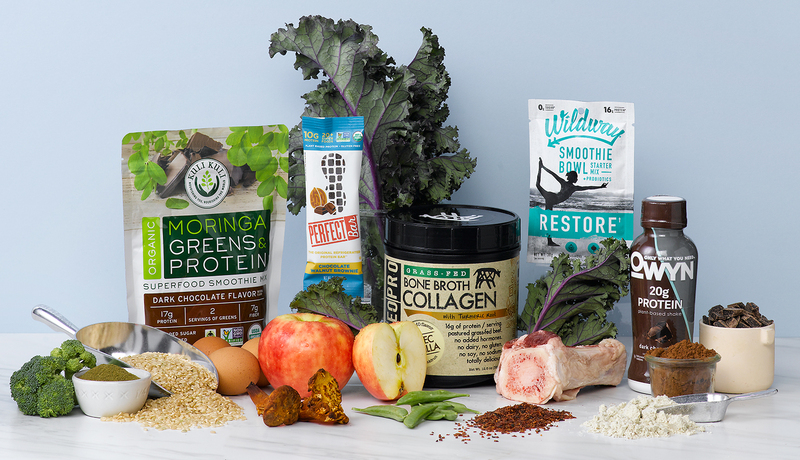 Protein-boosted products are garnering sales velocity in nearly every grocery store category. Here's how brands are stoking excitement with cleaner protein sources, trendy add-ins and more. 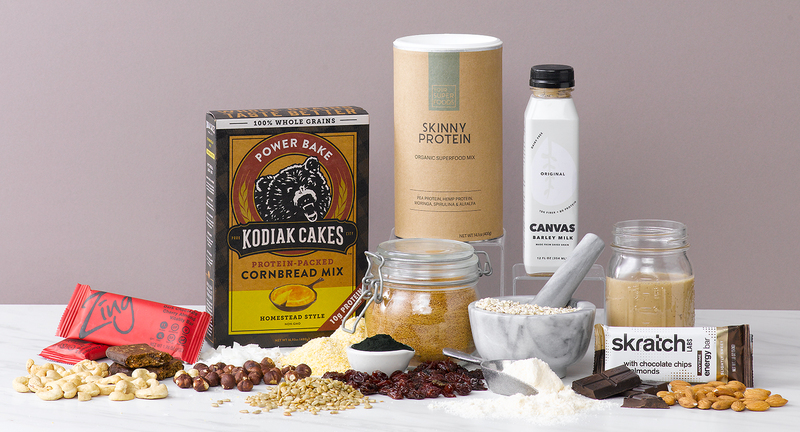 Old-school protein-packed products, once found solely on dusty gym store shelves and emblazoned with images of very fit people, bear little resemblance to the emerging class of protein-focused foods and beverages. Sure, body builders may have sparked the protein-fitness connection. But the recent influx of cleaner, nutrient-pumped protein products shatters the trope that protein is just for ripped dudes. Rather, the rising class of protein-packed products are designed to appeal to all consumers. Meanwhile, shoppers are getting smarter about their protein sources, both in terms of sourcing and quantity. Whey is more often than not derived from grass-fed cows. Plant-based options are blended from pea, rice, non-GMO or organic soy, and sometimes from innovative proteins such as pumpkin powder and spent barley grain from craft breweries. Indeed, it seems everyone wants to up protein intake. According to 2017 research conducted by the Hartman Group, 60 percent of Americans from all demographics are actively trying to increase protein intake. “Along with fiber and healthy fats, consumers look to protein and its associated nutrient density to help them feel full—with a sense of sustained energy—throughout the day,” according to the report. Such zeal for protein is reflected at checkout. Products are garnering sales velocity in nearly every category in the grocery store. According SPINS, in the year ending Sept. 10, 2017, sales of protein-filled foods and beverages across all channels topped $3.5 billion, up $124 million from the previous year. 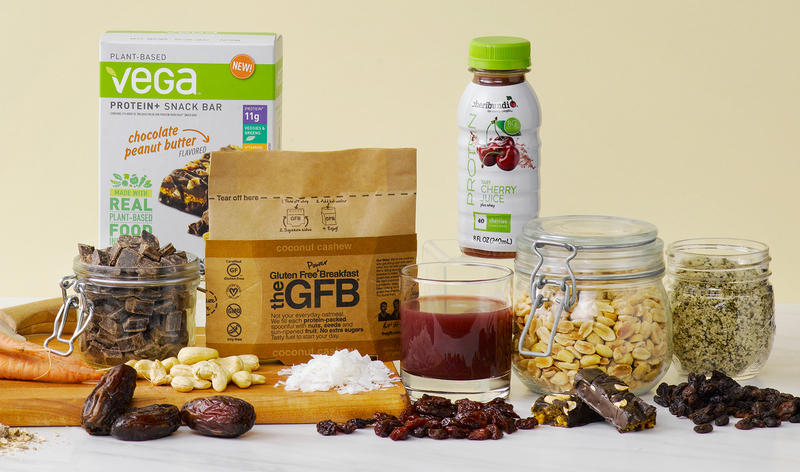 At $1.2 billion, the wellness bars and gels group is one of the largest protein categories. Over the same time period, sales of protein-containing shelf-stable baking mixes, ingredients and flours experienced more than double growth to $20 million. In the natural channel, frozen desserts also experienced strong growth in the 52 weeks ending Sept. 10, 2017, with sales rising 45 percent to $6.7 million. The protein paradox is that most Americans reach their Daily Recommended Value of protein. So how are brands stoking consumer excitement? In addition to prioritizing novel protein sources, manufacturers are upping the nutrient density by incorporating trendy add-ins. We’re talking smoothie mixes with adaptogens such as ashwagandha and moringa, and chocolate nutrition bars that contain vitamin C-rich acerola cherry extract and even carrot and tomato (really!). It’s rare to see bars, snacks or beverages that contain more than 30 to 40 grams of protein in one serving anymore, as shoppers are using protein products to boost satiety and energy and squelch hunger, not necessarily to boost muscle. Focusing on nutrition, taste and experience helps sets protein brands apart. Brands can spend years perfecting protein formulations to achieve a palatable product. For example, Jeff Mroz, co-founder of OWYN (Only What You Need), a protein-based beverage and smoothie powder company, spent four years developing his new RTD product. “We surveyed thousands of consumers and found that greens were among the top ingredients people wanted in their diet, but found it very hard to incorporate,” he said. A former pro athlete, Mroz adds that at 20 grams, OWYN is either a pre- or post-workout snack, or a simple, energizing light meal. It is not just protein-based beverages that are culling favor with consumers. Protein bars? Protein pancakes? Protein desserts? Consumers will give a resounding “Yes!” to all—if they have a little something extra in them, too. Retailer Roundtable: What special diets are your customers talking about?